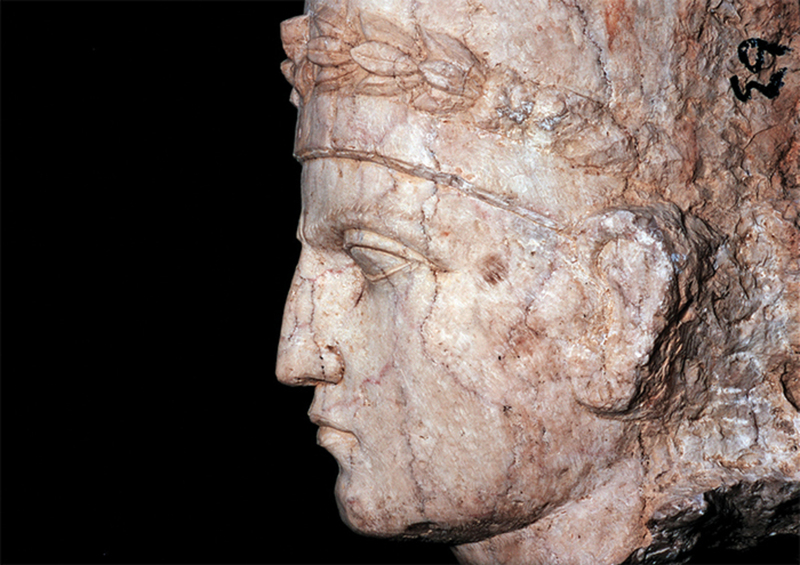 A marble bust of a Palmyrene man discovered by the team of Khaled al-Asaad, Palmyra, Syria, September 1, 2002. Photo: Marc Deville/Getty Images. Learned opinions vary. But most either attribute the group’s acts to an intrinsic savagery, as viewed from the perspective of what is assumed to be our shared humanity, or, if they happen to be voiced from an Islamic pulpit, dismiss ISIS’s claim to be applying Islamic law to the letter and point out the more tolerant, indeed more humanistic, side of Islam. What no one seems able to concede is our inability to comprehend ISIS’s actions from a modern standpoint. Indeed, ISIS is operating within an epistemological frame of reference that belongs to an earlier time, a time before the age of reason, the separation of politics and religion, the abolition of slavery, the striving for gender equality, the widespread application of legal protections for the individual, and the universalization of human rights redefined our shared understanding of the human community. If we want to name it, ISIS’s frame of reference may be aptly called medieval. In that sense, ISIS’s doctrine is not so different from those of many ultraconservative fundamentalists around the world, although the faction has distinguished itself through its wanton and garish use of extreme violencewhich, by the way, is also medieval in its reference. This is why grasping the meaning of ISIS’s shocking acts has been quite difficult for our contemporary thinking, steeped as it is in its posthumanistic rationality and delicate, if sometimes hypocritical, sensibilities. To elucidate what I mean, one need only look at the indictment crudely handwritten on the placard that hung from al-Asaad’s waist in the grisly photo published online by ISIS to explain the historical significance of the language used to describe his alleged crimes. First, his executioners listed his middle name, Muhammad, which underscores his Islamic faith. This helps us understand the significance of the title they gave him, al-murtadd, which was translated in most media reports as “the apostate.” Technically, the translation is correct. But in an Islamic context, a murtadd is not just any apostate, but someone who reneged on Islam only; the followers of other religions are actively encouraged to abandon their birth faiths and convert to Islam, whereas a murtadd is to be executed according to all Islamic schools of jurisprudence. The conceptual distinction will become clearer if we consider the semantic origin of murtadd, which derives from the verb irtadd, “to relapse,” or “to revert from.” The underlying notion here is that once a person arrives at Islam, the final and true religioneven if only by accident of birthhe or she will have no right to revert to faiths deemed lesser in the hierarchy of creeds as viewed from an Islamic historical perspective. To a modern observer, the accusations against al-Asaad seem absurd. But to a fundamentalist who seeks certainty in medieval texts and practices and rejects all modern readings––indeed, modern ideas altogether––as heresies (bida‘, singular bid‘a), they carry a coherent logic. This logic finds its authentication solely in the Qur’an and in the sayings and deeds of the Righteous Predecessors (al-salaf al-salih), usually understood to comprise only the Prophet Muhammad, his companions, and his immediate successors. The goal of this fundamentalist thinking is a return to that magical moment of complete adherence to the tenets of the original, unadulterated Islam. Anachronism is immaterial and relativism unacceptableindeed, historical perspective itself is limited to the foundational period of the Prophet and his companions. These were some of the inconsistencies that pioneering Islamic reformers grappled with in the early twentieth century. What is most distressing today is not only that a growing number of contemporary fundamentalist interpreters of Islam neglect and even negate the teaching of these pioneers, but that they reject the critical and theoretical tools that made thinking about reform possible in the first place. Needless to say, the world is paying a horrendous price for this intellectual retreat.